Buddhism is about taking responsibility for your thoughts, feelings and behaviours and understanding that (with practise) you can choose them in order to choose the life, outlook and internal world you live in. 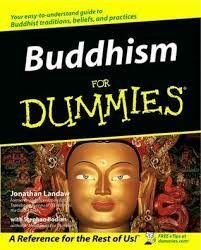 As a learning tool, Buddhism for Dummies is a great place to start if you want to know more about Buddhism and how and why it might or might not be for you. The book covers every possible facet of Buddhism from history, theory, types of Buddhism, geography and even includes some guidance on how to begin to practice. However if the theory is great but the practice needs more work then get in touch to find out more about how and when you can get involved with Velvet Evolution. For me personally, I connect with Buddhism because as a practise it challenges me to stay in the centre of my world, and use my mind as a tool rather than it using me and dictating how I am experiencing my life. 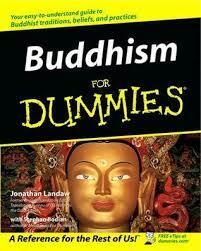 So where ever you are with your spiritual journey, if you’re spiritually curious, spiritually decided or spiritually committed, Buddhism for Dummies will definitely broaden your knowledge base and understanding of all aspects of Buddhism, what and how it is. Happy reading and wishing you a happy and confident day.